Here is Maths and Logic Fun with Letters and Numbers. In this Brain Teaser Game, there are some equations. Left side of these equations is a word and right side of equation is a number corresponding to the word. There is certain pattern with which these letters and numbers are related. 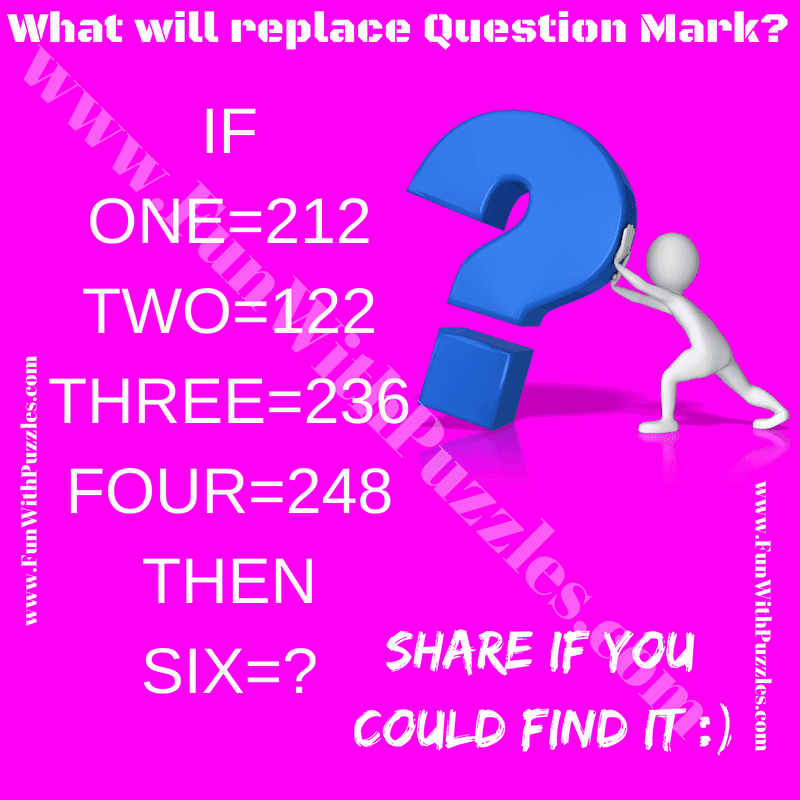 Can you find this pattern and find the missing number which will replace the question mark? Can you find what will replace the question mark? Answer of this "Brain Teaser Game for adults", can be viewed by clicking on button. Please do give your best try before looking at the answer. First digit in number of vowel in the word. Second number is the value of the word. Third number is multiplication of first two digits.